SAN JOSÉ CALIFORNIA. “Music speaks to the soul, speaks to the heart, speaks to the mind, and inspires us, refreshes us and delight us” With those words Dr.Lorrin Koran, a Medical Doctor and Professor (Clinical) of Psychiatry and Behavioral Sciences, Emeritus, at Stanford University, gives us his definition of Music. The Board President of THE STEINWAY SOCIETY was being interviewed by CULTURAL WORLD BILINGUAL to discuss the SOCIETY’s multi-talented Concert Season 2018-2019 which promises to be unique. When we expressed surprise by the heartfelt way in which he, an M.D. and Psychiatrist. describes the art, with a chuckle, he reveals to us that he had been acquainted with music since he was a child, because his mother started him with piano lessons at the age of nine. The STEINWAY SOCIETY The Bay Area, where Dr. Koran serves as Board’s President, is a non-profit organization whose mission is “To Promote excellence in piano performance and music education in the Bay Area,.” where it has been recognized as one of the gems in its Cultural life. The SOCIETY contributes to the music education for the young, and continues to bring world-class, internationally recognized pianists to the Peninsula and South Bay where they are introduced to the public in "in-home recitals" , reminiscent of the l9th Century salon Concerts. CWB. I understand that all the pianists that THE STEINWAY SOCIETY presents at the concerts are world-class recognized pianists. How are these pianists selected? Dr. KORAN: "For the last several years, DON WRIGHT now a STEINWAY SOCIETY board member, has been asked to listen to pianists on YouTube and recordings who had been recommended to STEINWAY SOCIETY. He prepares a written report for NANCY JENSEN, our long-time Artistic Committee Chair and long-time board member. NANCY uses DON's reports and her own knowledge about these artists and other artists to choose which pianists to invite. NANCY then contacts the Agents of her chosen artists and decides with the Agents when the artists can appear on the STEINWAY SOCIETY schedule of concerts. CWB. Who are these pianists? Dr. KORAN: "As a rule, they are essentially all prize winners. Younger. And in the middle parts of their careers. But they are all very distinguished by the time they get to us." 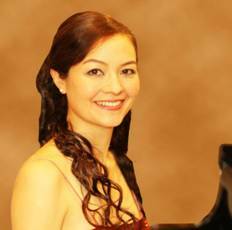 Born in Moscow, now a resident of Salzburg, the great romantic pianist has been described as "having star power in every note and an inner glow to every bar" She will play BACH, RACHMANINOFF, CHOPIN and LISZT. A great Maestro. 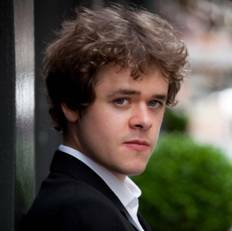 The only pianist to win the top Prize at both the International Tchaikovsky and The Leed Competitions. 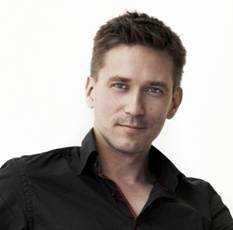 He is now a professor at the Moscow Conservatory and Artistic Director of the Association of TCHAIKOVSKY Competition Stars. The Romantic pianist will visit RACHMANINOFF, playing Eight Etudes, Tableaux Op.33, Sonata No 2 in B-flat Minor, Two Romances (Transcribed by RACHMANINOFF, and Five other Romances. The “Romantic Pianist” discovers the Fantastic and Impression. 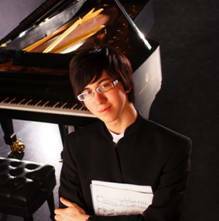 His program includes: LISZT, SCHUBERT, SCRIABIN, and DEBUSSY. With this pianist, the realm of fantasy, as envisioned by Scribin, is explored before visiting tone portraits by the father of musical impressionist CLAUDE DEBUSSY. 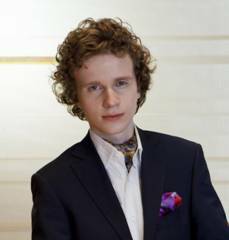 First Prize winner at both the New York International Piano and Asia-Pacific International Chopin Competition. 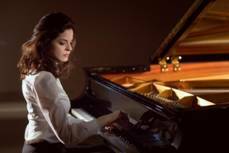 At the 2015 Fryderyk Chopin Competition, she was awarded the Bronze Medal. She was voted number one by “My Chopin” radio listeners. 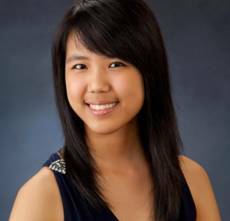 Her program includes BEETHOVEN, SCRIABIN and BRAHMS. Acclaimed winner of numerous awards in international competitions. A composer and Transcriber in the Romantic Style, brings the works of RACHMANINOFF to Life playing ten of his Preludes and Six moments musicaux Op.16. He is on the faculty of the Moscow conservatory and visiting professor at Krashiki Sakuyo University of Science and Arts in Japan. Sought after and Praised for his distinctive sound he is described as “Poetic, gently, brilliant yet clear minded” by (The independent) for his singing touch. He will play: SCHUMANN, JANACEK, PROKOFIEV. He was the youngest British musician ever signed by Decca Classics. Debuted at the Great Hall of Moscow Conservatory at the age of seven. Has won many Prize in international competitions. When he plays he expresses how he views music, what he is feeling and thinking about the music, and gives all his heart to the audience. Will play CHOPIN, BEETHOVEN and RACHMANINOFF. 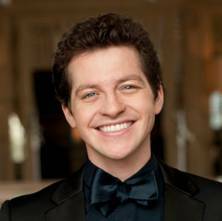 MAY 11, 2019, 7:30 P.M.
“An American superstar with “jaw-dropping technique and virtuosity meshed with a distinctive musicality” (The New York times) Recipient of the 2014 Avery Fisher Career Grant, and 2010 Gilmore Young Artist Award. Debut-recording Vivace sold thousand of copies worldwide. Will play SCHUBERT, his Improvisations SCHULZ –EVLER, KAPUSTIN, and CHOPIN ETUDES Op25. CWB: Do the performers select their music? CWB: Before we end our interview, could you tell our readers something that is unique about The STEINWAY SOCIETY’s concerts? Dr. KORAN: "Yes. All our concerts are preceded by a lecture explaining the music and what the audience is going to listen to, which is quite helpful for people coming to listen to a concert for the first time. Also unique is that this year we are going to have international competition winning artists playing wonderful masterpieces, by CHOPIN, LISZT, SCHUMAN, and two concerts by RACHMANINOFF. Our programs present to the public some of the most beautiful piano pieces ever written. Masterpieces by a range of composers, from Preludes, to Sonatas to Impressionistic music. The Season 2018-20l9 is going to be fantastic. I also want people to know that they don’t have to subscribe to the whole season. They could even subscribe to four or to eight concerts. Also all students with an student I.D less than age 25, could come to any concert for ten dollars a ticket, which is unique." CWB: And since we started our interview with your description of music Dr. KORAN, I will end it discussing the same subject. As a psychiatrist, could you tell us the benefits of music in the human psyche? LORRIN M. KORAN, MD. Received his medical degree from HARVARD medical school. Following an internship at UCLA, he completed a residency in psychiatry at STANFORD UNIVERSITY MEDICAL CENTER and then served in the U. S. Public Health Service. He spent a year in London as a Visiting Colleague at the MAUDSLEY HOSPITAL INSTITUTE OF PSYCHIATRY. And then joined the faculty at SUNY, at Sony Brooks in l972, where he served as Associate Professor and as Director of Medical Student Education in Psychiatry from 1972 to 1977. 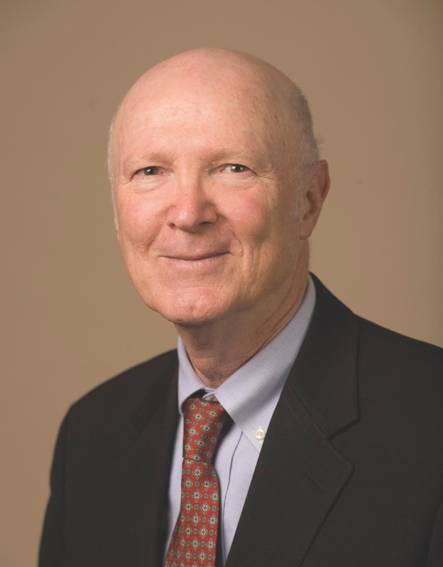 In 1977 he joined the faculty at STANFORD UNIVERSITY MEDICAL CENTER where he served as Professor of Psychiatry from l984,and is now Professor Emeritus. In 1980, he created the Comprehensive Medicine Unit within Stanford University Hospital,which he directed until 1989. He directed the Psychiatric Consultation/Liaison Service from 1991 to 1995 , and the Obsessive-Compulsive Disorder Clinic and research Program from 1989 until 2010. Dr. KORAN served a visiting Professor at STANFORD in Florence, Italy where he taught a course entitled “Medicine and Art in the Renaissance” He received “The Outstanding Teacher Award from THE STANFORD DEPARTMENT OF PSYCHIATRY in l980, 2000, and 2008, Dr KORAN is board-certified in Psychiatry and a Distinguished Life Fellow of the American Psychiatric Association. 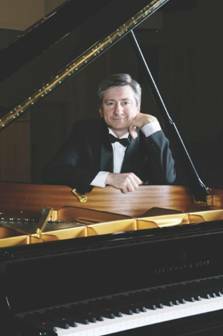 He has been serving as President of the Board of Directors of The STEINWAY SOCIETY the Bay Area for the past two seasons. TICKET INFORMATION: Single Tickets: $40-$60. Senior/Student Discounts Available. Go to www.steinwaysociety.com or call 408 990-0872.